CARFAX 1-Owner, Mazda Certified, LOW MILES - 14,765! EPA 30 MPG Hwy/24 MPG City! Nav System, Heated Seats, Keyless Start, Onboard Communications System, Blind Spot Monitor, Smart Device Integration, All Wheel Drive, CD Player READ MORE! Navigation, All Wheel Drive, Heated Driver Seat, Back-Up Camera, iPod/MP3 Input, CD Player, Onboard Communications System, Aluminum Wheels, Keyless Start, Smart Device Integration, Blind Spot Monitor, Cross-Traffic Alert, Heated Seats Rear Spoiler, MP3 Player, Remote Trunk Release, Keyless Entry, Privacy Glass. 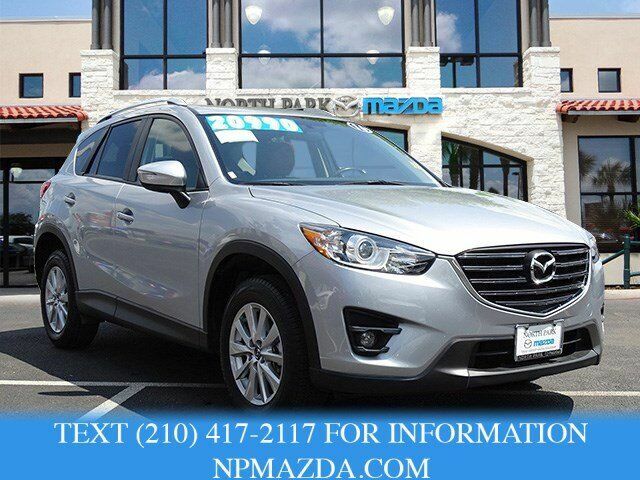 Mazda CX-5 Touring with SONIC SILVER METALIC exterior and BLACK interior features a 4 Cylinder Engine with 184 HP at 5700 RPM*.